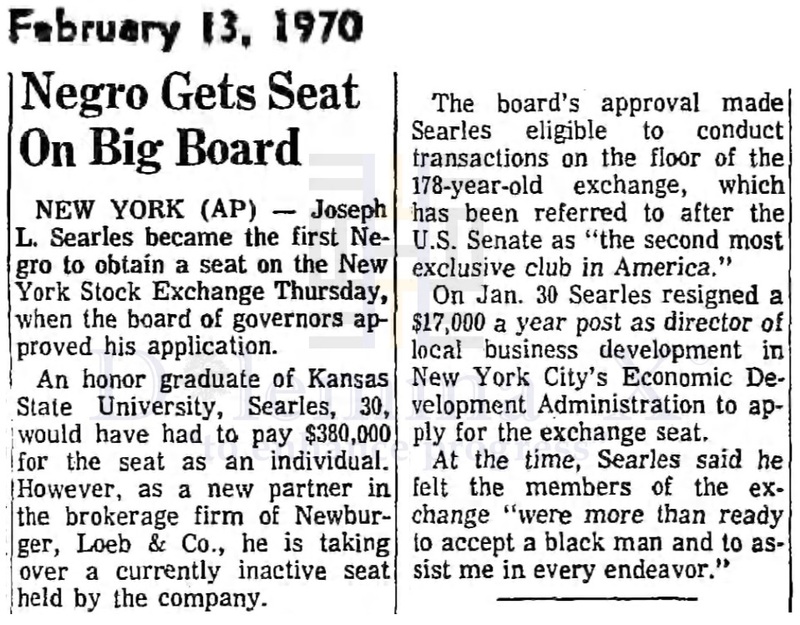 February 13, 2018 marks only 48 years for African Americans on Wall Street. 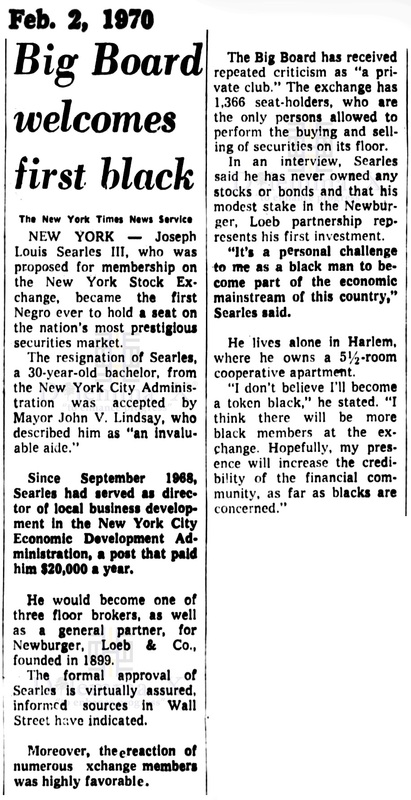 What helped open the door to this late entry into the New York financial sector for African Americans? African Americans had long been college graduates and African Americans had long been owners of financial businesses, from banks to insurance companies. 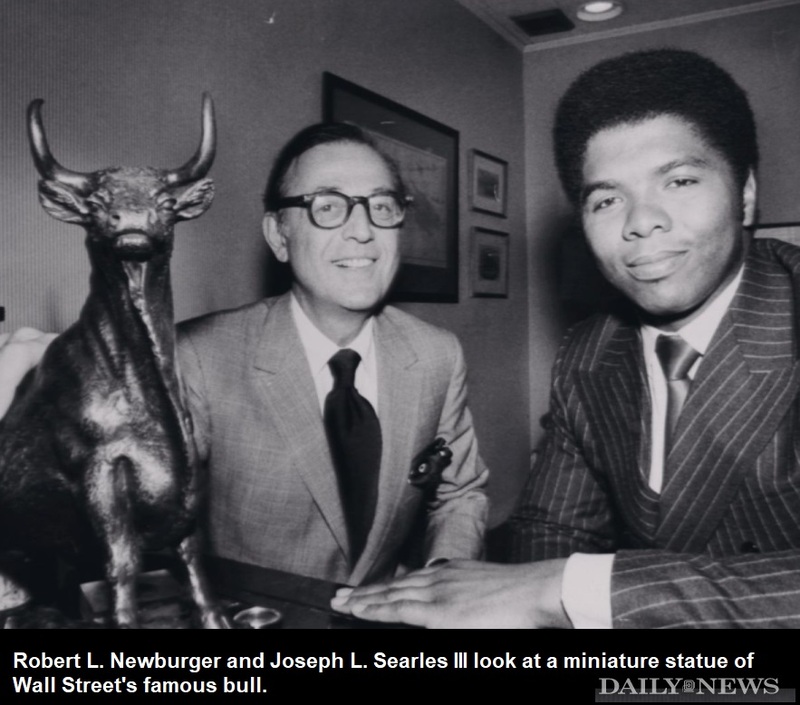 Yet, African American were not welcome on Wall Street. It was with the passing of the following federal laws that helped open the doors to Wall Street. 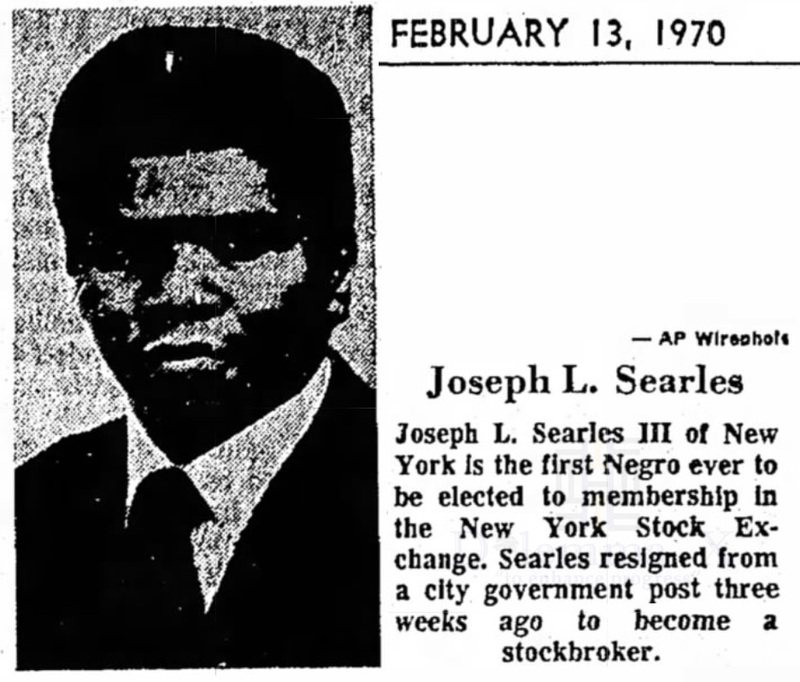 Below are a few historical articles taking a look back on the first African Americans engaged with the New York Stock Exchange. Click image to enlarge for better viewing. Click your return arrow to return to this topic. 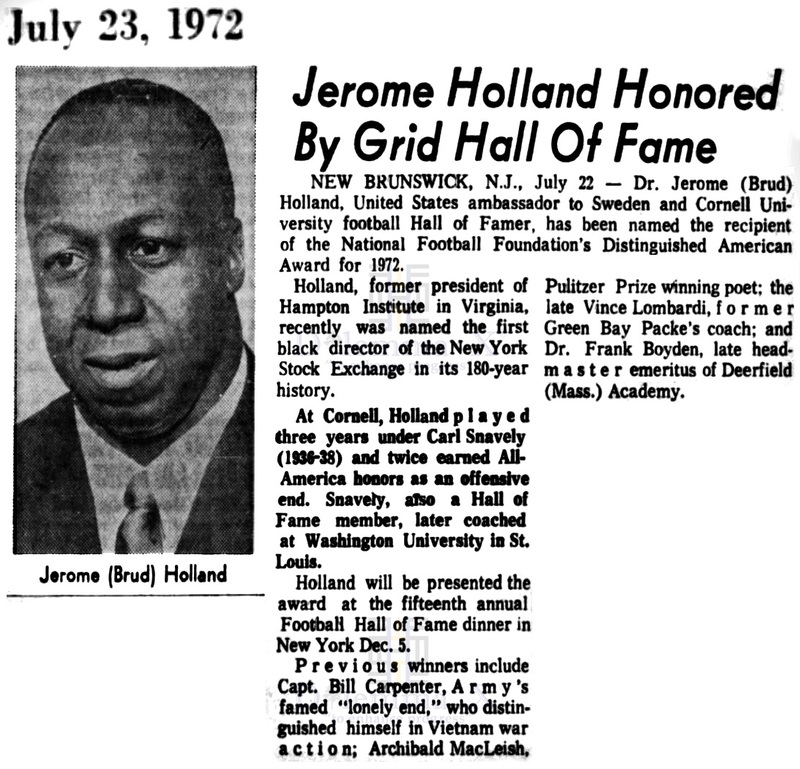 Dr. Jerome H. Holland was the 9th president of Hampton Institute (now Hampton University). He was the 2nd African American to serve as president of Hampton, following Dr. Alonzo Moron. Moron became the first African American to serve as Hampton’s president in October 1949 -April 1959. 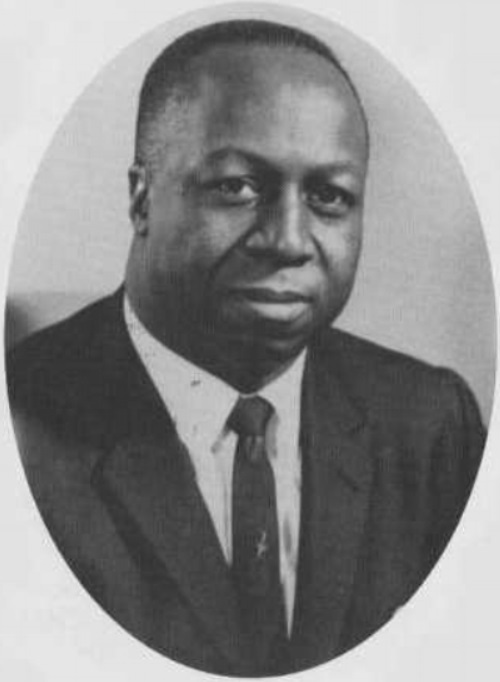 Holland served as Hampton’s president from 1960 to 1970.